The Cessna 350 Corvalis is a composite construction, single-engine, normally-aspirated, fixed-gear, low-wing general aviation aircraft built by Cessna Aircraft. The aircraft was formerly called the Columbia 350 when it was built by Columbia Aircraft. 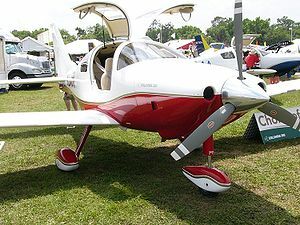 Developed as the Model LC40-550FG (for Lancair Certified, Model 40, Continental 550 engine, Fixed Gear) and marketed under the name Columbia 300, the aircraft was certified on September 18, 1998. The 300 is powered by a Teledyne Continental Model IO-550-N engine of 310 horsepower (230 kW) at 2700 rpm. The aircraft's maximum take-off weight is 3400 lbs (1542 kg) and the maximum landing weight is 3230 lbs (1465 kg). The 300 has a certified airframe life of 25200 flight hours. The Columbia 300 was upgraded with a glass cockpit and other improvements developed for the turbocharged Columbia 400. It was certified on March 30, 2003 as the Model LC42-550FG (for Lancair Certified, Model 42, Continental 550 engine, Fixed Gear) and marketed as the Columbia 350. Like the 300, the 350 is powered by a Teledyne Continental IO-550-N powerplant producing 310 horsepower (230 kW) at 2700 rpm. The 350 has the same take-off and landing weights as the 300; maximum take-off weight is 3400 lbs (1542 kg) and the maximum landing weight is 3230 lbs (1465 kg). 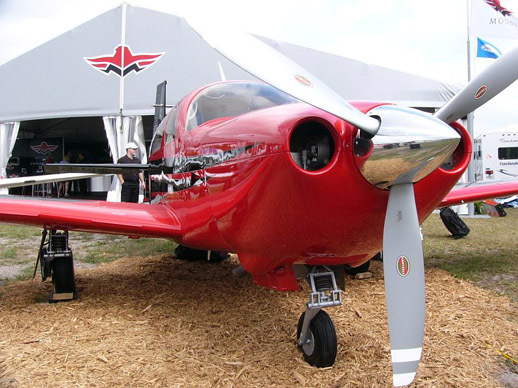 Like the 300 and 400, the 350 has a certified airframe life of 25200 flight hours. Initially sold simply as the Cessna 350, the aircraft was given the marketing name Corvalis by Cessna on 14 January 2009. The name is a derivation of the town of Corvallis, Oregon which is west of the Bend, Oregon location of the Cessna plant that built the aircraft, prior to closing the plant and relocating production to Independence, Kansas in 2009.